The Sandia Solar Programs e-newsletter features highlights, key activities, events, and publications. News is also available on Sandia’s solar program website. We welcome your feedback. We hope you enjoy this valuable resource. 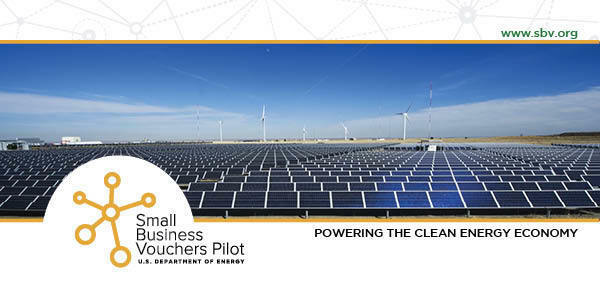 Assistant Secretary of Energy David Danielson announced the first-round awardees in DOE/EERE's Small Business Vouchers Pilot (SBV) that pairs national laboratories with eligible small businesses. Sandia’s solar programs were selected to provide technical assistance to two small businesses. Renewable Power Conversion, Inc. (RPC), was awarded a voucher for its project “Advanced Functionality Testing of RPC PV Inverter” (Figure 1). Sandia Labs will work with RPC to complete the inverter development for commercial, industrial, and utility scale applications. SkySun, LLC, was awarded a voucher to develop its low cost heliostat (solar receiver) coordinate arrangement with applications in concentrating solar power and concentrating PV (Figure 2). Sandia Labs will work with SkySun on its technology to achieve commercialization. Figure 1. 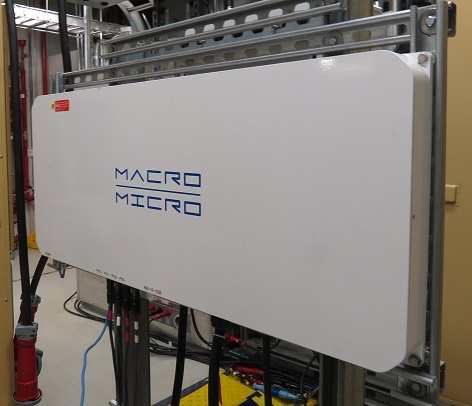 Renewable Power Conversion, Inc., will receive technical support from Sandia to complete the development of its Macro-Micro inverter. A project team led by Sandia National Labs, with partners at Arizona State and TUV Rheinland, has applied a suite of accelerated life tests to module-level power electronics (MLPE) devices to predict their reliability and durability in the field. A subset of the DOE’s Physics of Reliability: Evaluating Design Insights for Component Technologies in Solar (PREDICTS), this project has tested 140 MLPE units from five different manufacturers in four types of tests: damp heat, themal cycling, static temperature (85, 100, and 125 degrees Celsius), and grid transients. Of 10 powered devices used in damp heat testing, 2 failed at 1240-1550 hours and 2 failed at 4369-4876 hours. The remaining 6 units were still operating at full power-handling levels even after 5380 hours of the damp heat test. A wealth of historical usage data exists for damp heat degradation and failure rate differences of modules; a lack of historical usage data for MLPEs has hindered data comparison, until now. Comparing data from PVs and MLPEs is useful because they have similar usage environments and design-life expectations. Based on historical testing data, most PV modules fail or degrade significantly (>10%) before 3,000 hours of damp-heat accelerated testing (Figure 3). That MLPE units have degraded significantly less than modules with fewer failures after 3,000+ hours of testing indicates that these devices may outlive their attached PV modules in the field under normal usage conditions. In thermal cycling testing, only one of the 10 powered units failed through 836 thermal cycles. Units showed efficiency degradations <10% after more than 800 thermal cycles (Figure 4). 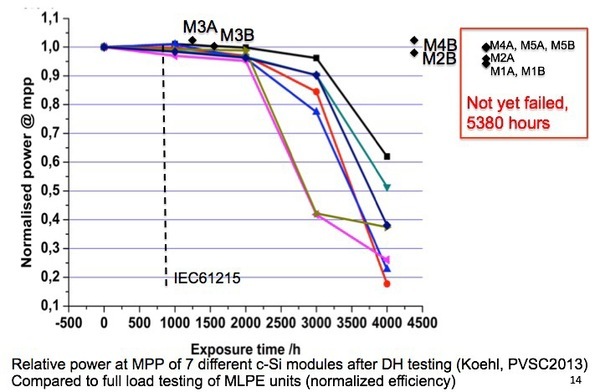 This result compares favorably with PV module failure and degradation during long-term thermal cycle testing, reinforcing the robustness of MLPEs in the field. Figure 4. MLPE efficiencies at 50oC UUT over time during thermal cycle testing. Units did show some efficiency degradation over time. Sandia National Laboratories and the National Renewable Energy Laboratory (NREL) jointly organized the annual Photovoltaic Module Reliability Workshop. The February 23-25, 2016, event attracted nearly 300 photovoltaics (PV) experts from national laboratories, industry, and academia to discuss advances in photovoltaic system reliability and lifetime. Sandia’s Olga Lavrova gave the keynote presentation, “Overview of PV Systems Reliability”; Geoff Klise spoke on “PV System Reliability: An Operations and Management Perspective”; Jay Johnson presented “Arc-Fault Detection and Mitigation”; and Jack Flicker spoke on “Ground Faults Detection and Mitigation.” Concurrent technical workgroup meetings focused on emerging topics such as rapid shutdown for PV systems for firefighter safety. The next PV materials and reliability workshop is planned for February 2017. Sandia Labs is leading a three-year research project to study bifacial photovoltaic technology and performance. 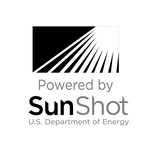 The project is sponsored by SunShot, a U.S. Department of Energy program. Conventional PV cells convert light hitting the front side of the cell to electricity. With a few extra processing steps, bifacial PV cells can be made so that light hitting from both sides contributes to the current produced by the cell. When cells are placed into modules designed with transparent back sheets or glass-glass construction, bifacial PV modules are born. This idea is not new, but this technology has, thus far, remained on the fringe of the PV market. We believe that bifacial PV may begin to enter the mainstream of the PV industry in the next few years, especially if its levelized cost of energy is lower than monofacial technologies. Field data, characterization methods and standards, and predictive models are needed. 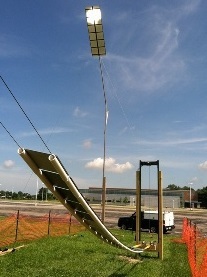 As partners in this project, Sandia National Laboratories, the National Renewable Energy Laboratory, and the University of Iowa are working together to better understand the performance characteristics of bifacial PV modules and systems. This work is divided into the following tasks. Advanced monitoring of photovoltaic (PV) systems can ensure efficient operations, but extensive monitoring of large quantities of data can be cumbersome for the individual analyst. To address this challenge, Sandia National Laboratories' Fault Detection Tool project uses machine-learning algorithms embedded into data collection devices on-site or at a central server to detect performance issues and failures automatically. The algorithms, based on machine learning techniques such as Gaussian Process (GP), Laterally Primed Adaptive Resonance Theory (LAPART), and Support Vector Machines, can be used to detect and classify faults. 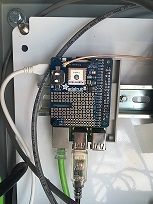 In this work, a programmable data storage device, Raspberry Pi (RPI), was placed in-situ with an actual PV array (see Figure 5). The data was stored in a local database. Using a GP algorithm, researchers accurately estimated performance. Based on the residuals between the computed estimate and the actual values, the fault detection tool classified the behavior as normal or in a fault condition. This machine-learning approach not only identified fault behavior, but also defined the lost energy revenue caused by the fault condition. The power generated by a PV cell depends on both the intensity and spectrum of the light incident on the cell. Silicon solar cells, for example, respond to both visible and near-infrared light, but differently: red light has more impact on PV power output than blue light. Accurately predicting power output requires accounting for the effect of spectrum on the PV cell’s power. 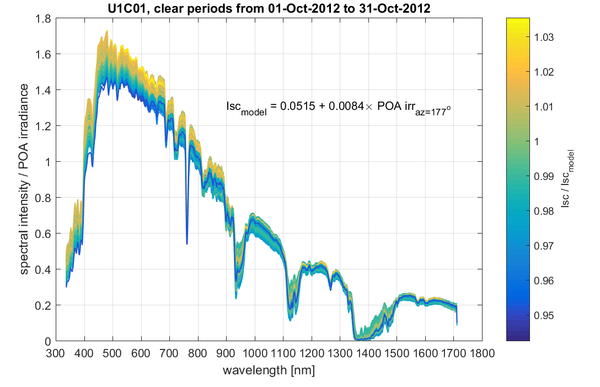 However, measuring the entire incident solar spectrum is an expensive and data intensive task. We explored whether PV performance modeling can be improved by using spectral measurements at only a few wavelengths rather than measuring the full spectrum. The analysis used data collected at Los Alamos and Albuquerque, New Mexico. When irradiance measurements at two wavelengths were included in the performance models, errors were reduced by up to a factor of two compared to modeling that used air mass as a proxy for the effects of spectrum, as is current practice in the PV modeling community. The important wavelengths were relatively consistent across different cell technologies suggesting that measurements at a few specific spectral wavelengths may improve the accuracy of performance modeling for all types of PV cells. Fig. 6. Plot showing curves of spectral intensity of incident sunlight at each wavelength. Strong vertical color gradients at a specific wavelength indicate that wavelength is important for PV performance modeling. The plot in Figure 6 shows curves of spectral intensity of incident sunlight at each wavelength, with colors indicating the short circuit current (Isc, an input to PV power models) at the instant each spectral intensity curve was captured. Strong vertical color gradients (dark to light, or light to dark) at a specific wavelength (e.g., 600nm) indicate that wavelength is important for PV performance modeling. Measurements of spectral intensity at only a few of these important wavelengths can help reduce PV performance modeling errors. This analysis will be presented at the Photovoltaic Specialists Conference (PVSC) in June 2016. J. Neely, J. Johnson, J. Delhotal, S. Gonzalez, M. Lave, Evaluation of PV Frequency-Watt Function for Fast Frequency Reserves, IEEE Applied Power Electronics Conference (APEC), Long Beach, CA, March 20-24, 2016.